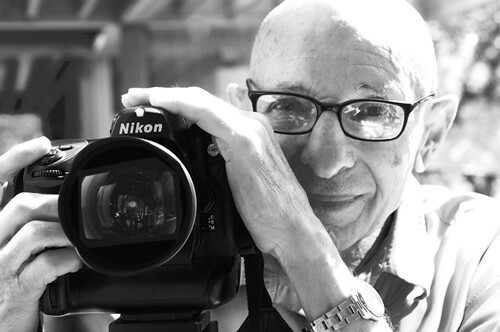 Marvin Rand was a good friend and an exceptional architectural photographer. I have fond memories of that slight, energetic man with the large camera photographing one of my earliest houses in Sherman Oaks, in 1956. We grew up in Los Angeles architecture together–I developing my practice, and he photographing some of the most important buildings in Los Angeles–from documenting the Watts Towers, Greene and Greene, the architecture of early modernist Irving Gill, the Case Study houses and other works of Craig Ellwood, to many of the young architects of today. Marvin enjoyed working with younger architects, especially in recent years. He switched to digital photography and used the latest techniques. I am sure that is what kept him young at heart. He was also generous with some of us older members of the profession later in life, photographing work that he thought was important, and without charge. He honored me by photographing my 50 Year Retrospective exhibit at the A+D Museum in 2003-2004, and contributed two large major photographs, 5’ x 8’, which hung from the ceiling. Those of us who were fortunate to know and work with Marvin, as well as the architectural profession at large, have lost a generous spirit, and a talented friend and advocate. He will be sorely missed.